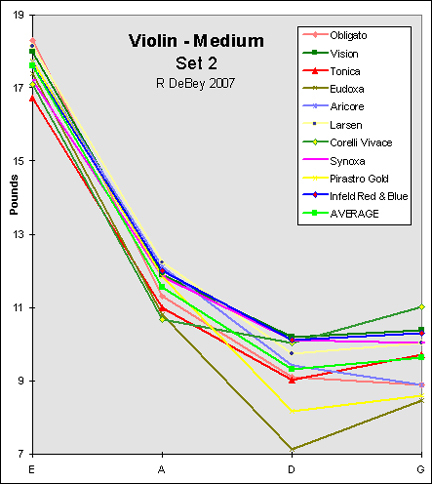 When I'm selecting strings for an instrument, it helps to know the tensions of the strings I have to choose from. 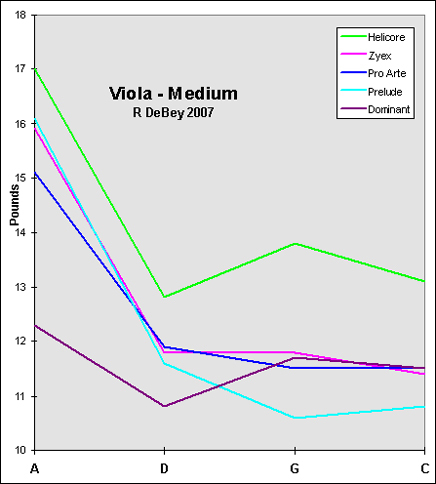 It's easier for me to compare tensions when I have a visual representation, so I've created these graphs. 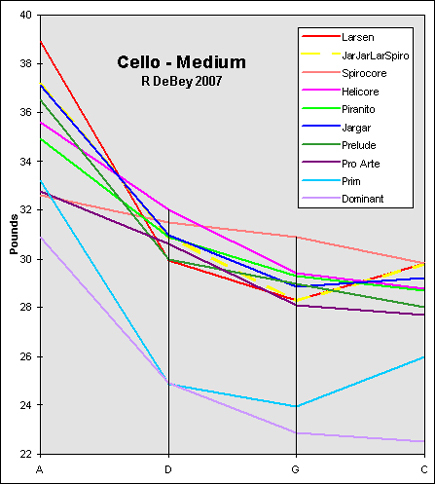 Tensions for D'Addario and Thomastik strings were available from their websites, but I had to measure the tensions of the Pirastro, Larsen, Corelli, Jargar, and Prim strings. 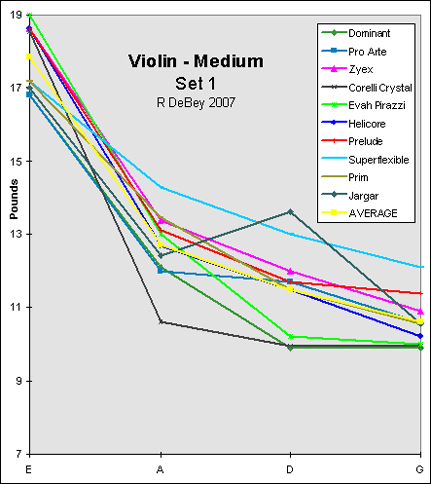 Hopefully, all string manufacturers will eventually publish tension information.